The country’s manufacturing sector is in decline. In 1979, about 19.6 million Americans were employed in manufacturing. Today the number stands at 12.3 million. Despite—or perhaps because of—this economic shift, manufacturing firms tend to be the recipients of substantial state incentives. That’s one takeaway from our new Location Matters study, which calculates the tax bills of seven model firms. We calculate their tax liability in all fifty states, first as mature firms and then again as new firms more likely to be eligible for state incentives, allowing for an apples-to-apples comparison of how state taxes fall on distinct business types. Two of our seven model firms were manufacturers: a capital-intensive manufacturing facility and a labor-intensive manufacturing facility, given their distinct tax exposure. Predictably, unemployment insurance tax burdens tend to be more significant to labor-intensive manufacturing, but the impact of other taxes varies across the two firm types as well. Corporate income tax burdens can be quite substantial, particularly for labor-intensive firms. In many cases, however, the actual corporate income tax rate is a poor predictor of actual burden, especially for new firms. Sixteen states offer withholding tax rebates, 24 states offer investment tax credits, and 24 states offer job tax credits to new labor-intensive manufacturers, all holding down—and in some cases eliminating—income tax burdens, at least for the first few years of operations. 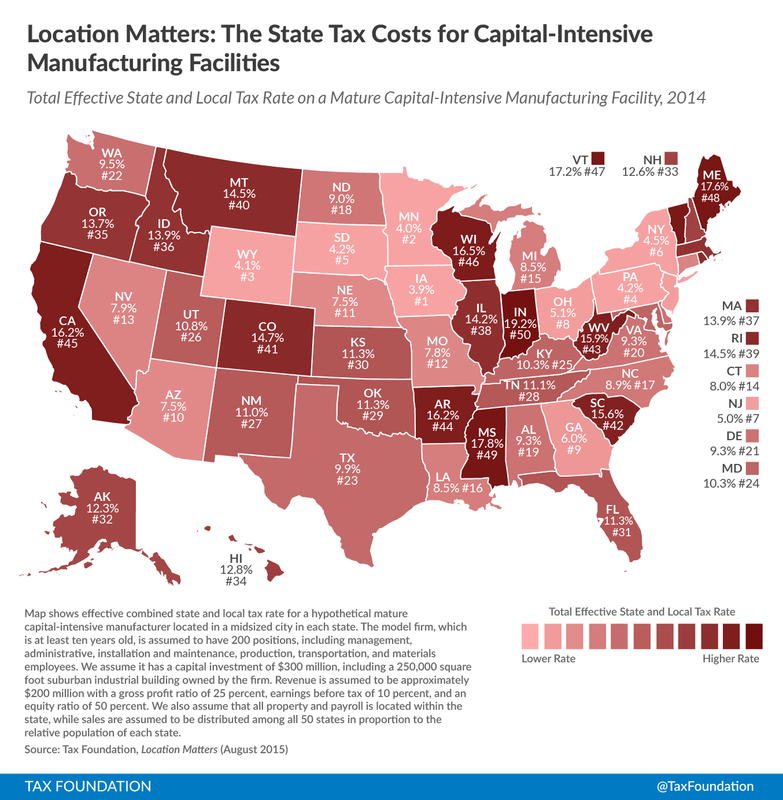 New manufacturing operations in states with high income taxes, unfavorable apportionment rules, and limited incentives tend to experience the highest aggregate tax costs. 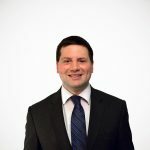 Conversely, favorable apportionment factors and the absence of a throwback rule can often do more for a firm than a lower corporate income tax rate. Property taxes are more important to capital-intensive manufacturing operations than they are to labor-intensive operations, as the latter have less equipment potentially subject to tax. Still, states which limit their property tax base to land and buildings (rather than also taxing equipment and inventory) offer a lower tax environment for manufacturing firms of all types, all else being equal. Property tax abatements are also significant for manufacturing firms. Thirty-nine states offer some degree of property tax abatement for new capital-intensive manufacturers, a few of which all but wipe out overall tax liability for that firm type. 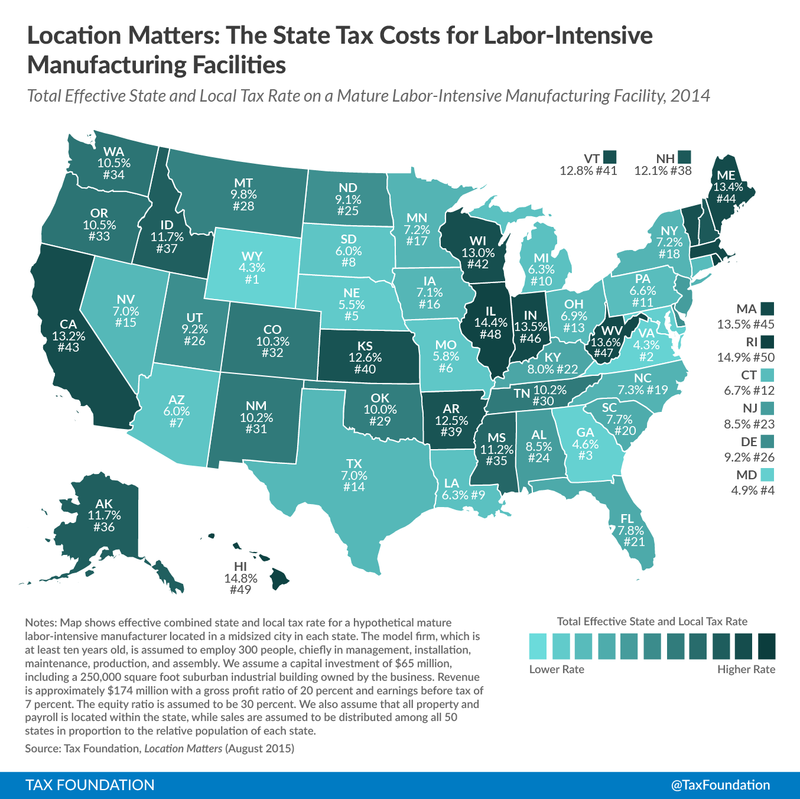 Because many states offer such substantial incentives for manufacturers, states with low tax costs for these firms are an intriguing mix of generally low tax states and relatively high tax states which make special dispensation for manufacturers. Such non-neutral treatment, of course, must be made up somewhere else in the system, meaning that other companies must pay more in taxes to cover the tax expenditure for manufacturing incentives.